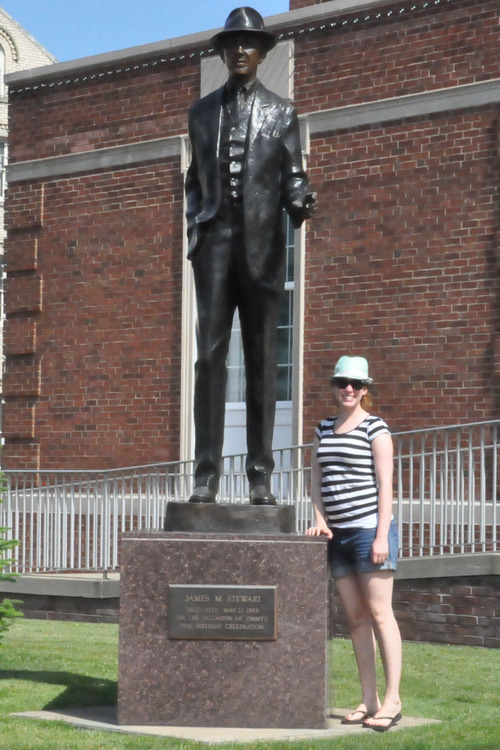 #16: Visit James Stewart museum, if it’s still open – DONE! I love Golden Era Hollywood. It started with the cheesy musicals. Then I saw “Adam’s Rib,” starring Katherine Hepburn and Spencer Tracy and realized that non-musical old movies could be pretty amazing too. One of my favorite stars from that era is the all-American, nice guy, Jimmy Stewart, who stars in two of my favorite movies: It’s a Wonderful Life and Rear Window. And I’ve seen many more… Vertigo, The Philadelphia Story, The Glenn Miller Story (part of it, at least), Pot O’ Gold, The Shop Around the Corner, Mr. Smith Goes to Washington, and Made For Each other. I dig this guy on a personal level too: mainly because of this poem he wrote about his dog. 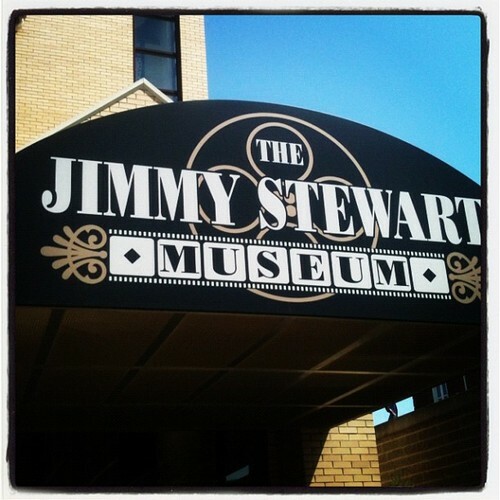 I found out about the Jimmy Stewart museum a few years ago when the uncertainty of the museum remaining open was in the news. At that point, I told myself that if it was still open the following year, I’d add it to my list of goals. 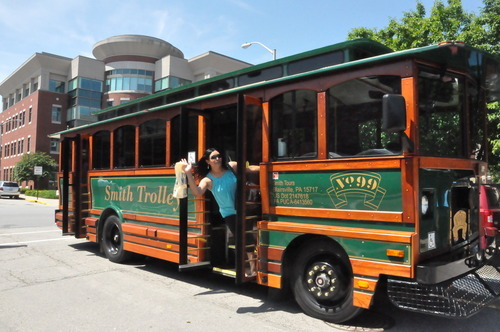 And luckily for me, with all of the press it got during that time, the museum remained open! As I was listening to my old radio station a few weeks ago, a block of The Six Shooter, a radio show featuring Jimmy Stewart, was on. During the commercial, the host mentioned an upcoming Jimmy Stewart Airport – Museum Festival, taking place in the actor’s hometown of Indiana, Pennsylvania. What better time to go to the museum? So, I packed up my things, found a great road trip buddy (thanks for joining, Luz!) and drove up to Indiana — an hour from Pittsburgh. I had such a great time. From sitting at a bar on Friday night listening to bad Karaoke to the actual festival. He and Henry Fonda were best friends. The were politically polar opposites, and after one fight, they decided to never talk politics again. He addressed Congress about the colorization of black-and-white movies. I need to see Harvey.